Red Deer Paint Nite for ALS! 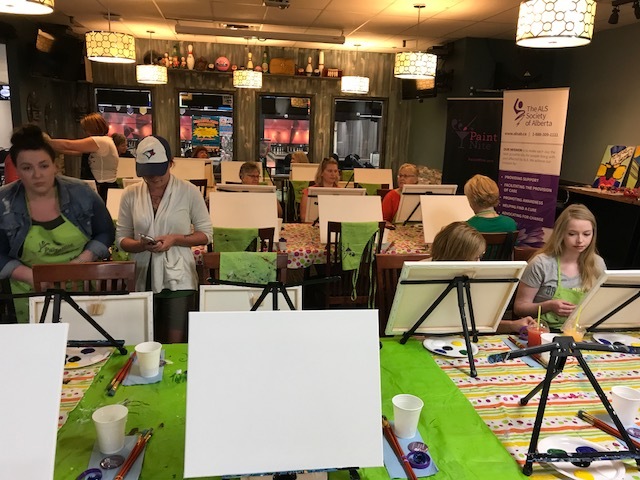 Thank you to everyone who joined us on Sunday for the Red Deer Paint Nite for ALS! Over 40 guests attended to attempt a cornflower and daisy painting, and an additional $100 was raised through the 50/50! Thank you to Michelle Parker and Deborah Hansen for your continued volunteer efforts in Red Deer. We will see you all at the WALK on June 17!